A little over 2 months ago, I shared in one of our updates that I would recommend folks taking the opportunity to stock up on some key products, specifically dairy products which I felt were going to skyrocket due to a domino effect of compromised harvests, droughts, and tainted resources that were relied upon to meet demands. In that update I went further to urge all of our readers to anticipate that meats would be increasing significantly as the ripple effect of these issues would soon be felt at the grocery checkout. At that time I suggested that we could soon be paying as much as $6-$8 per pound for ground beef! Of course, whenever I make such statements, it's not willy nilly; I’ve done my research which leads me to such conclusions; but it doesn’t seem to make much of a difference to some readers who privately e-mail me and accuse me of being desirous of wanting to throw people in a panic. *sigh* Today I thought I’d share some more detailed information as to why I’ve come to this conclusion, and then you can decide for yourself if being a bit more proactive now can help you leverage your buying power in the very near future. 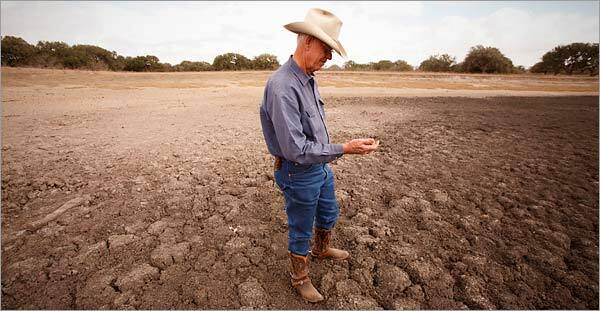 The crux of the matter revolves a great deal on Texas as a result of the drought problems they've had this past season, so I think it’s important to first understand how big of a deal Texas is in this, the largest segment of the agriculture industry. The U.S. is the largest producer in the world of beef, including the largest fed-cattle industry, and even the high quality, grain fed beef. Overall cattle and calf inventories in the U.S. have actually dropped over the years from 130 million in 1975 to 92.6 million in 2011 in spite of the demand for such products increasing as much as 103% overseas in the last 3 years. These obligations are being met today with lower inventories as a result; despite technological advances which help prevent waste, eliminate parasite control, nutritional care, and the optimization of breeding cycles. Also playing a part in the bottom line improvement of ranchers is the result of technology which enables a animal to grow 1,000 pounds every month. When you have an industry that’s playing so close to the edge in order to cut out waste and increase profits, there isn’t much room to handle what Mother Nature might throw at it. Unfortunately that’s what happened with Texas. Yup, Texas which holds the largest inventory of cattle and calves of 5.7 million head, fulfills nearly a third of all international exports and hosts over 131,700 beef operations. (That’s more than twice the next largest state of Missouri with just over 51,000.) Yep, they are pretty significant when it comes to the beef market in the U.S. and the world. Here’s another curve ball folks. The demand for exports has continued to increase dramatically. In fact, the actual demand is at more than 90% of all that we produced this past season (obviously, that doesn’t mean that we’ll be meeting all of that demand but this also means we’ll be importing more beef this year. *sigh*). As a result of the drought effects becoming worse and worse, large numbers of calves were forced to go to the market early or the cattlemen risked either losing them all together or absorbing the higher cost of raising them. Calves that normally would have been held and then sold in Texas and Oklahoma over the past two months had already been sold, thus the prices skyrocketed the past two months as supplies drastically went up because the heads were already sold in the summer. So, will it get better soon? Uh, sorry. I’m afraid not. You see this isn’t a 2-foot plant that were talking about here. That means that meat prices aren’t just a passing phase that will be rectified with the next growing season. Unfortunately, these kinds of issues require 8 to 12 years to work themselves out. How quickly they work out is dependent on how many immediate factors come into play while things are trying to be put back into balance. Things such as fuel costs, availability of grain, other weather scenarios, and international demand all play a role on how quickly the market can rectify itself. For example, in 2003 there was a huge drop in beef exports because of the BSE scare. In 2009 there was another drastic drop and 2010 provided our first look at supply and demand issues as demand skyrocketed in Korea, Canada, Europe and the Middle East. 2010 has it’s smallest national herd size since 1958 and the percentage of cows that calved in 2010 was in its 5th straight year of decline. Keep in mind that the present high export demand is not yet reflective of full-fledged demand from China and Japan yet as they have just started ramping up in the past year since it has taken them a while to get past the BSE scare of 2003, and to embrace internationally accepted protocols. (Anybody else find that a bit ironic? China and Japan are actually a bit gun-shy in ordering U.S. meat products.) However, the international demand for U.S. beef is stronger than it has ever been and is not showing any signs of slowing down whatsoever. In fact, expectations are that the export demand for beef could actually exceed our total supply this year by a small percentage point. With the economic pressures facing American ranchers for the past several years, it’s obviously tempting to give in to a 30-40% higher yield from export orders. Sure the drought didn’t do anyone any good, but in my book it’s the supply and demand issues coming to forefront as a result of the export demand that really causes me to warn Americans to stock up on meat proteins as much as they are able. This whole supply and demand imbalance will greatly impact our household budgets once the prices really start to be indicative of the problem. 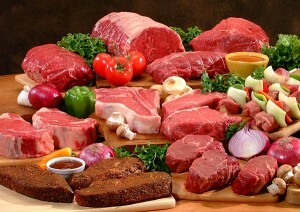 A 2009 study by the USDA concluded that meat represents about 30% of the cost of a meal on average. The beef and poultry industry represents about 6% of the GDP. The beef industry is responsible for over 1 million jobs. So, might this inconvenience be felt more so than just at the cash register? Yes. But…the good news is that you’re being forewarned about the potential problem, so you can start stocking up on meats now. While I’ll be the first to admit that if I were to wait until I found coupons to purchase all of the meats I eat, I’d probably end up being a vegetarian. So we’ve clearly got to leverage our dollars better than that. If you’ve got access to a ranch that will sell you a half or quarter cow, I highly recommend you take advantage of that. 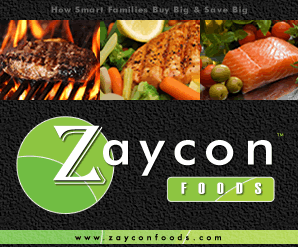 When you do, I suggest that you have as many roasts and steaks made as possible to better leverage your dollars and then get your ground beef from Zaycon Foods at their aggressive pricing. I’ve been purchasing my Zaycon orders faithfully every month for the past three months. In fact this week I did some comparing on all-natural boneless, skinless chicken breasts like I’ve purchased for the past two months from Zaycon for only $1.49 a pound; and even without getting the referral credits, the price they’ve been charging for these huge chicken breasts is an average of $3.09 cheaper per pound than what I’d pay otherwise. I’m excited to have already received this month’s Zaycon sales event for the December special which is on 97/3 ground beef. Most households are presently having to purchase the lesser meats of 70/30, 80/20, and 85/15 because the 97/3 is priced so high right now. Average price on 97/3 right now is $4.89 a pound at WAL-MART even! And that price only goes up when you start looking at all-natural meat options. 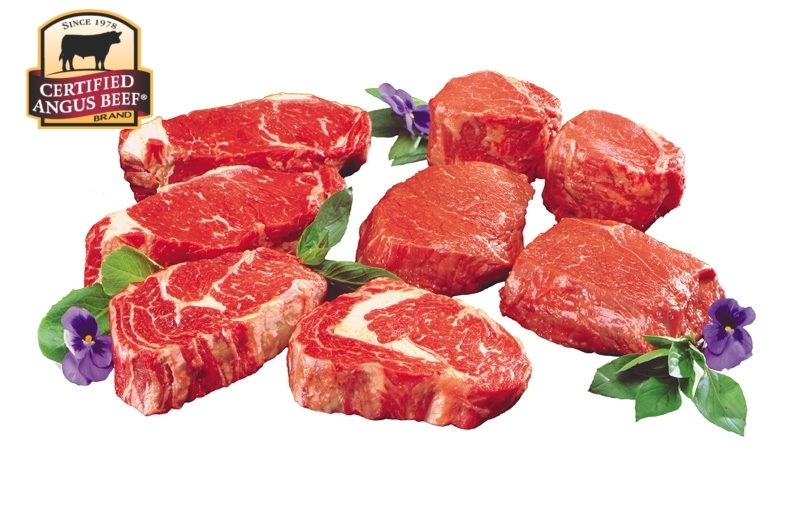 (Natural beef is defined by the USDA as minimally processed, without flavorings, coloring, preservatives or synthetic additives.) I’m excited to get my first batch of beef because I’ve heard nothing but great things about it from my friends who order from Zaycon each month! 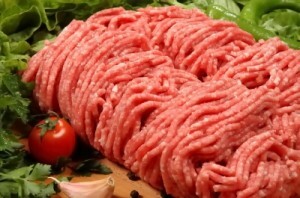 Oh, the great dishes I love that are made from ground beef! Yum! So, once again, I suggest you stock up, can it, or at least freeze it with plenty of jars and a pressure canner on hand in case you lose electricity for a long period of time. (And of course you’ll need an alternative cooking source to can that meat before it goes bad.) U.S. homes lost over $17 million worth of meat due to the mildly inconvenient Hurricane Rita. Better safe than sorry, right? 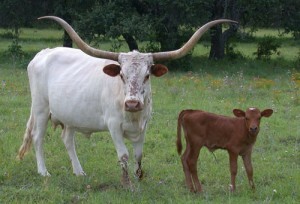 We have cattle ranchers next door and across the road from us here in Central Texas. Due to the 80+ days of triple digit temperatures and no rain, no grasses grew and hay brought in from other regions doubled in price. Praise God we got an inch of rain today. Kellene,what is the easiest way to brown the ground beef for canning? Is there a better way than standing over the skillet, stirring & chopping? nope, that's how I do it. When it's fresh though there's not a lot of chopping. I also have a great tool made by Pampered Chef that makes the meat separation easy. It's made specifically for breaking apart ground meats as you cook them. Kellene--I have heard that adding water to ground beef while you're cooking it makes it easier to separate into small pieces. Is this true? Have you heard of this, or tried it? I haven't heard of it at all. I do pre-cook my ground meats though and I do use water in the jars after I've stuffed them so that I have extra broth to use with my cooking. What is that tool? I need one. Also, have you browned it, then frozen the jars until you had enough for a canning batch? Chicken is a lot easier! This is kind of off-topic, but not really...what to do with all the turkey?! Usually I buy at leat 4 turkeys while they're on mega-sale this time of year. I've always just kept them in the freezer and used them throughout the year. I make turkey broth from the carcass and can it. But I've thought differently about keeping too much meat in the freezer this year, and wonder how you would can your turkey - cook it, then can it? Thaw it and do it like chicken? Or just too much trouble compared to those easy, already cut chicken parts?! Can turkey as you would chicken, you can raw pack it or take it out of the crock pot and can. Still needs 90 minutes.You can also can broth. Works great. Many people don't add water to their meat when cooking, but I like to use the juice for gravy or broth, so I always add water on top of the meat. Since you have changed to the new site, I cannot copy the text. I am not sure if this is on purpose for copyright reasons or not. I just copy them to Word to read at my leisure, since I only have a certain amount of time online at work on my break. I have been unable to keep up with your articles except to skim them since then. Any suggestions? Yes that is a copyright issue. It's not foolproof, but we'll definitely be keeping it that way. I haven't even (completely) read these posts yet but just had to respond about the naysayers. IF what you say is all that troubling to them... then why don't they find a site that agrees with their point of view? Anyone who tests your posts with actual facts will see that you have done your homework and I for one, certainly appreciates that fact! I can't think of even a single item that hasn't gone up in price just over the last six months or so. One can even watch the stock markets and find the facts to support what you say... So Kellene, from me, Thank You for doing your homework and sharing it with us! I've been buying as much as I can afford and store since this summer. I'm still getting some good buys but I really think beef will be like peanut butter. A slow creep in prices and then a big price hike. 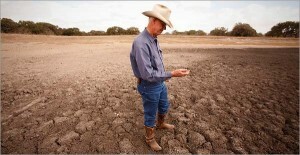 I was in Central Tx for 2-3 weeks in the middle of the drought. Most water holes for cattle were dry except the very big water holes. Corn was dead, about 2-3 feet tall. My parents live within walking distance of Lake Whitney (SW of Dallas, NW of Waco), which had shrunk enough that the lake looked like it had a beach around it. I always thought their metal home looked unsightly, but after so many fires just a few months ago, I'm glad their retirement village only allows metal homes. I already heard (or read) about how our drought will cause beef prices to probably dip a little at first, while ranchers had to sell much of their herd off, since they couldn't afford to ship in so much water, plus extra feed/hay since they couldn't graze on dead grass. So I guess it might be a little bit longer before the beef shortage kicks in, followed by price increases. You make a good case for high beef prices. As a cattle rancher I do appreciate getting good prices for our calves. Please let me know more about that technology that puts 1000 pounds gain on an animal in a month. That's 33 pounds per day when I'm thinking 6 or 7 pounds per day is more reasonable. Ooh. I'll have to go back to my research notes and find that one. It was in a news article that I found on Google though. You could Google it and find it that way--much faster than waiting for me to go back through my notes. I wish I had thought that it would be a portion of interest in the article. I should have had a hyper link under it when I was actually writing it. Hay it at $200.00 a ton here in Idaho. Beef is high, but I've seen many cows (Dairy) at auction going for 35 to 45 cents a pound. If you know a good butcher there are deals to be had. 'Fraid that sarcasm doens't come across very well in my blogs sometimes. :-) Sure 'nough, There was a university claiming they had such technology. Loonies. You have such a great and informative site. Thanks for all you do to help us become prepared. I got on line during the airing of your doomsday preppers show and signed right up. Wish I had found you sooner. Keep up the wonderful job!